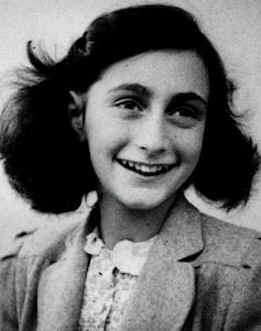 The infamous Anne Frank wrote a journal of her life throughout World War II. The journal was her focus and helped her process life and atrocities around her and in fact it was most probably her journal that drove her to survive as long as she did. Although she was close to her father, he never knew her true inner thoughts until after her death. When I visited Anne Frank’s house in Amsterdam I was privileged to share in her journaled thoughts, her desires, her sadness, her wants for life and others she expressed on paper. Deepest thoughts her father did not know, despite their close relationship, until he read her words years after Anne’s death. It is fascinating to learn how she and her family coped through the war; having to hide and be quiet to survive. It was not until Anne Frank stopped journaling in the war camp that she lost hope and she eventually deteriorated and died. She was just 15 years old. In learning from the young-but-wise Anne Frank, I encourage you to acknowledge your own good, to journal about your life and thoughts and to trust your inner strength to live a great life. Anne frank did not know what gift she left behind after her death for others to know and share and from which to be inspired. The account of her thoughts and written word for many to learn of what happened and to be encouraged to survive and live life to the full. Have you ever written a regular journal?